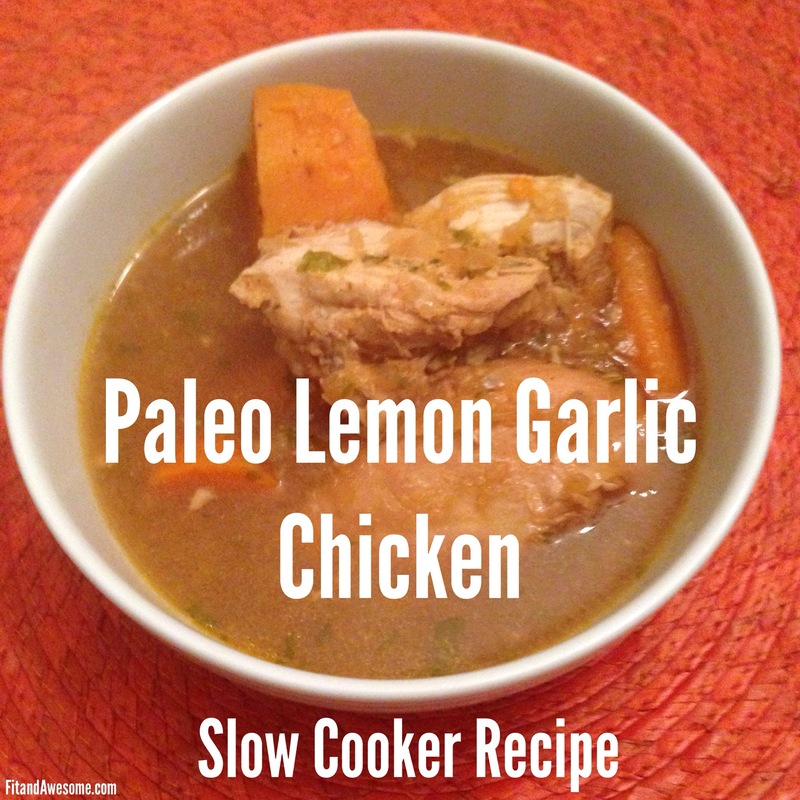 I love experimenting with the slow cooker and I modified a great recipe yesterday and came up with paleo lemon garlic chicken. This paleo lemon garlic chicken was made in the slow cooker and it was so good. 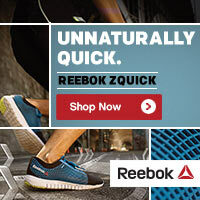 You could eat it as chicken, or mash up the chicken and eat it like a soup. I did the latter and it was delicious. This paleo lemon garlic chicken recipe came my way when I was texting with my cousin who lives in Florida. She was super excited because a Trader Joe’s just opened in her area. I used to ship her food from Trader Joe’s because she missed it so much so this was a huge deal! When I asked her what she was cooking for dinner, she told me lemon garlic chicken and sent me the recipe. I made a couple modifications of my own and boom – paleo lemon garlic chicken! This recipe calls for a slow cooker. It’s been so hot lately that the thought of using my slow cooker has been difficult, but the weather was much cooler this weekend so I busted it out. It had been a few months. I missed my old friend. It felt good to get a meal in the slow cooker going on a nice, brisk Sunday afternoon. First, rinse the chicken. Then mix the paprika, salt, and pepper and use it to coat the chicken. Next, take your food processor (this is the one I use) and mix together the onion, garlic, parsley, and lemon juice. Place the chicken in the crockpot followed by the chicken broth. Then mix in the ingredients from the food processor. If you decide to eat the paleo lemon garlic chicken as a soup, then you might want to consider adding a bit more broth. Chop up the carrots and sweet potatoes and add to broth. Add lemon zest directly to broth then mix around. Cover crockpot and cook on low for 6 hours or high for 3-4 hours. Pretty soon your whole house will start smelling like amazing-ness and your paleo lemon garlic chicken will soon be ready to eat. We ate ours like a soup on its own with no sides and it was delicious. If you don’t follow the paleo diet you could add some parmesan cheese to the top of the soup. My cousin did that and said it was yummy. Overall this was an excellent meal and I can’t wait to make it again. The lemon zest is key and really makes this dish pack a punch. I loved it! This paleo lemon garlic chicken recipe earns my two thumbs up! What about you? Do you only like using your slow cooker when the weather is cooler? Have you ever made paleo lemon garlic chicken before? Post in the comments and let me know! Looks delicious! I’m such a garlic lover! It’s definitely the kind of chicken soup for my soul 🙂 Thanks for sharing this recipe!